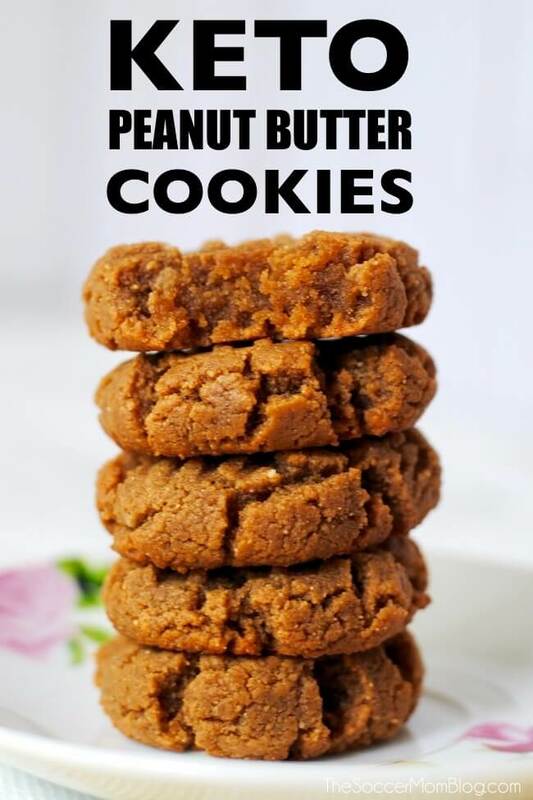 These Keto Peanut Butter Cookies taste so satisfying you won’t even miss the “real” thing…and you won’t miss the carbs either! …but leave it to my husband (the chef in the family) to find a way to make them good for you! 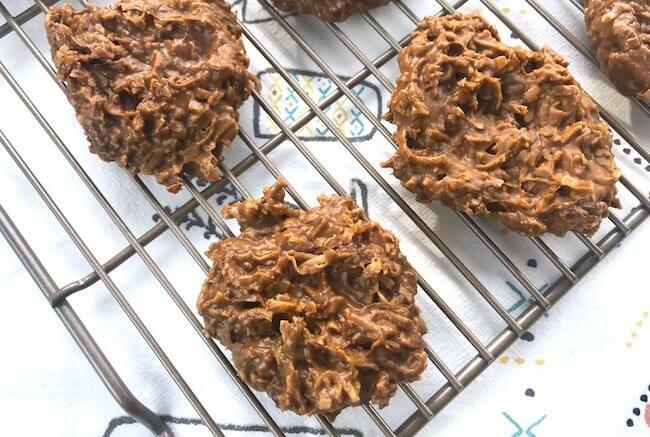 A couple weeks ago we whipped up these No Bake Keto Cookies for the first time. 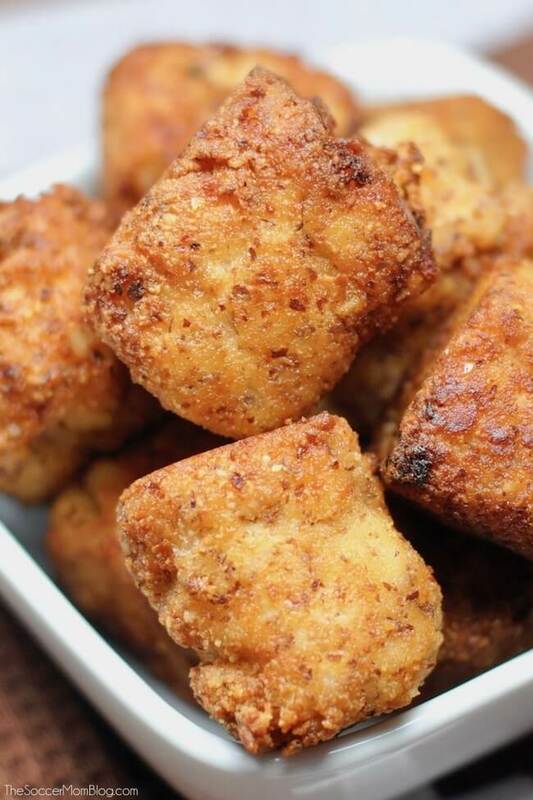 They were easy and delicious — and we were totally hooked! 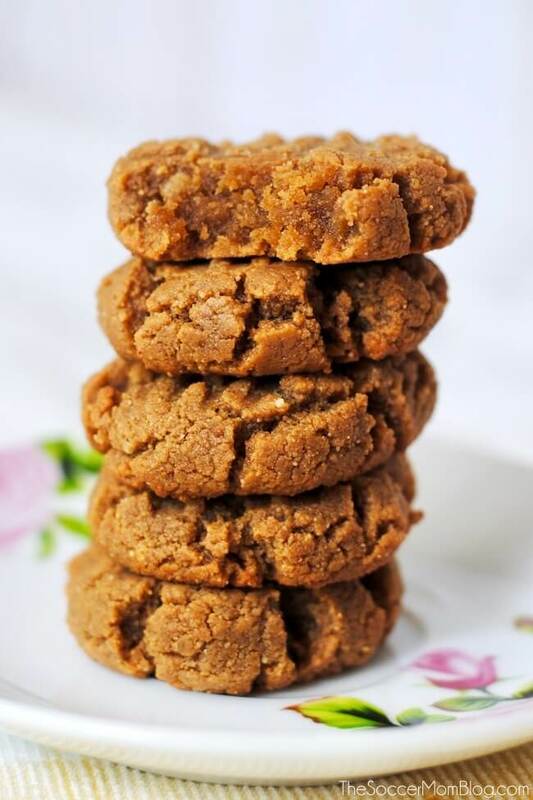 So this week we baked Keto Peanut Butter Cookies — another winner! 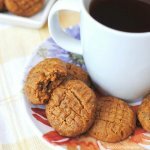 My husband’s Keto Peanut Butter Cookies are sugar free, gluten free, flourless, dairy free, and high protein. 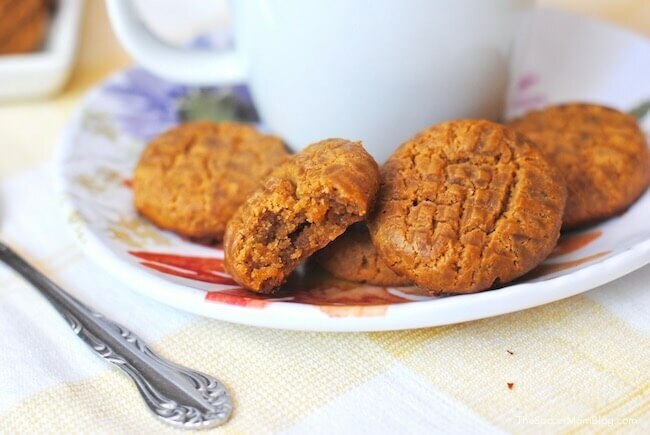 Whether or not you’re on a ketogenic diet, these low carb peanut butter cookies are the perfect guilt-free treat! 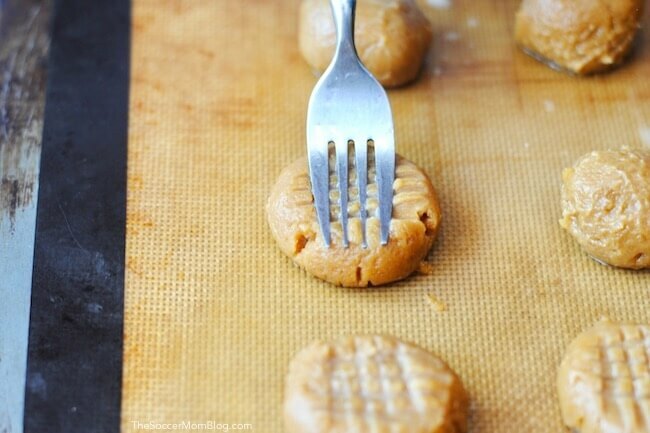 You only need 3 simple ingredients to make our easy Keto Peanut Butter Cookies! 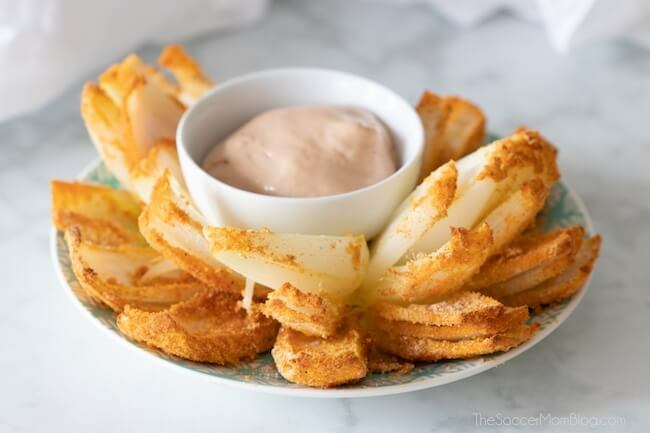 Keep reading for photo step-by-step instructions and cooking tips or click here to jump to printable recipe and video tutorial. 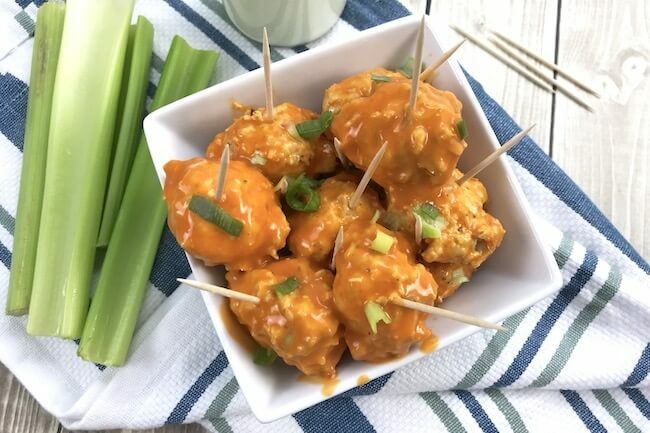 Related: Click here for a HUGE collection of over 50 easy keto recipes! 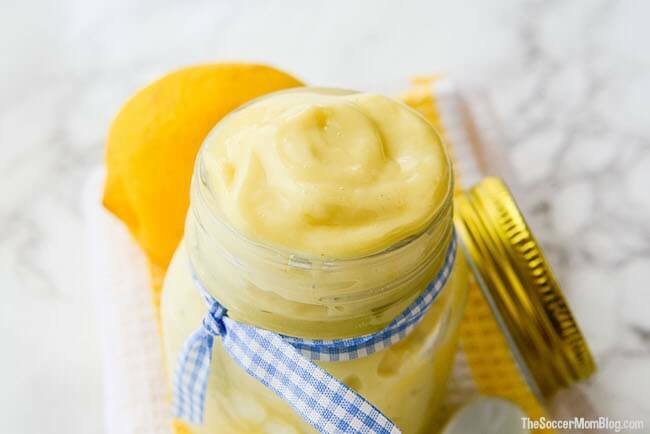 A 1-minute video demo is available at the bottom of the post with printable recipe. Combine peanut butter, eggs, and sugar in a non-slip mixing bowl. Stir together until a smooth dough forms. 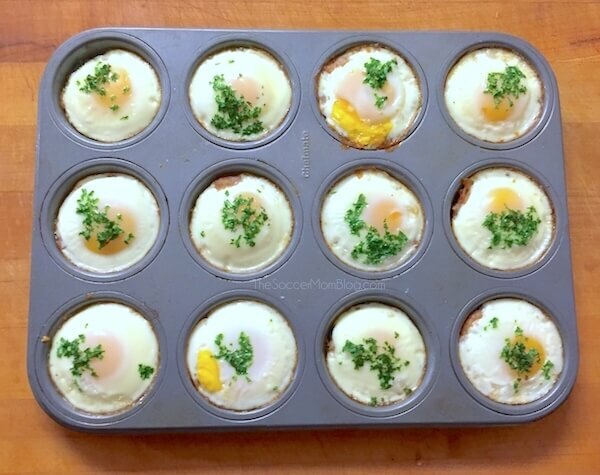 Roll into balls (about 1 Tablespoon each) and place on baking sheet lined with parchment paper or a non-stick silicone baking mat. TIP: We love these non-stick silicone baking mats because they’re washable and nothing sticks to them – we use them for almost all of our baking projects! Using a fork, press cookies down so they are about 1/2″ thick, making a criss-cross pattern. TIP: Wet fork before pressing so that the fork doesn’t stick to the dough. We keep a small dish of water at our work area so it’s ready between each press. 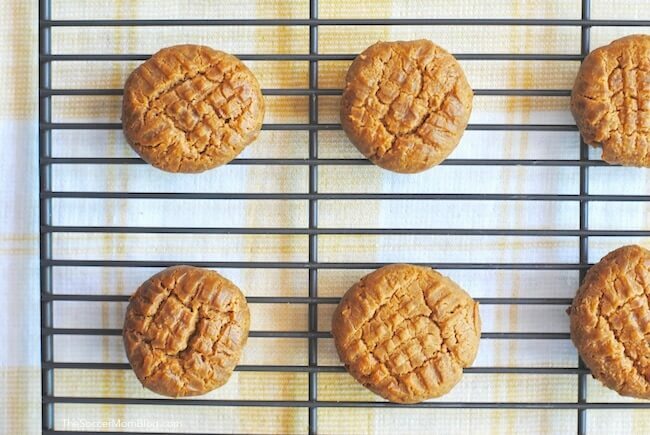 Bake for 13 minutes at 350°F for a chewy peanut butter cookie. If you prefer a shortbread-like texture, bake 1-2 minutes longer. 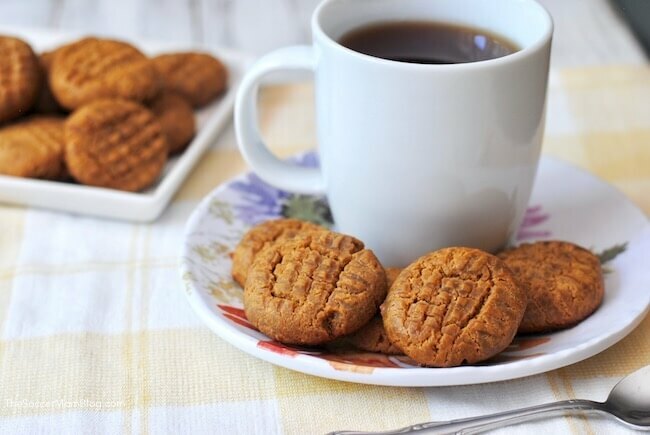 These Keto Peanut Butter Cookies taste so satisfying you won't even miss the "real" thing...and you won't miss the carbs either! Using a wet fork, press cookies down so they are about 1/2" thick, making a criss-cross pattern. Hi Angie, some readers have suggested using shredded almonds or something of that nature, though I personally have only made them with coconut so far. 8 teaspoons of pure stevia sounds like it would be disgusting. Surely that amount is wrong. Hi Ellen – I’m not sure where you’re seeing 8 teaspoons. I just double-checked the recipe and it suggests 1-2 teaspoons of Stevia if you like sweet cookies. I agree that 8 teaspoons would be overboard. I made these but used 5 teaspoons of Pyure instead of pure stevia powder. they came out terrible. Funky texture and not sweet enough. I only have Swerve (both granulated and confectioners) – will it make a difference if I use that instead of pure Stevia powder? Would I use the same amount? Hi Karla – Stevia is much more concentrated, which is why we only use a couple Tablespoons. Swerve measures like sugar – so I would use 1 cup and see how that tastes. Hope this helps! the nutrition facts is based on how many cookies? What kind of peanut butter has that few carbs?